• Classic shaped iron head with direct input from the best players in the world. • 1025 mild carbon steel and quadruple net forging process created a softer feel that better player’s desire. • Multi-material design optimizes the CG of each club. 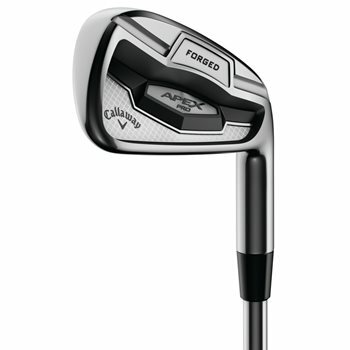 • Long irons have more offset and a tungsten insert to lower CG for higher launch. • The short irons have a higher CG for a controlled, yet penetrating trajectory.